The Dark Original Roast. A bold, strong, rich flavor with traditional taste & quality. Great with breakfast or that morning drive, as well as throughout the day. This dark coffee is a southern fan favorite. Dark coffee is a rich, robust delicacy that frequently stirs conversation among the purest of coffee-drinkers. If you are a fan of bold, dark blends of coffee, try a cup of this classic Seaport & you'll see that Seaport's Dark Roast is in on the discussion. Try a cup today! Many of our customers have described this coffee as "a classic Cajun coffee," while others refer to it as "true Texas style coffee." Still others just call it "delicious." We cannot disagree, so we'll just call it 100% Arabica Bean coffee from our family to yours! Culinary Coffee Tip: Try this dark roast coffee with chocolate! See how the coffee brings out all the flavors! My husband loves your coffee and it is not available for purchase where we live so ordering it from Texas Food is the next best thing to being there. This is good coffee, but the flavor is not what I expected. It unlike the dark roasts I'm used to so you need to keep an open mind and not expect something like Black Rifle dark roasts. Advantages: Good back up coffee for weekdays. Works in a drip and percolator. Disadvantages: Not as good in a french press. Seaport Dark Roast Coffee is the coffee I have been drinking since before I can remember. 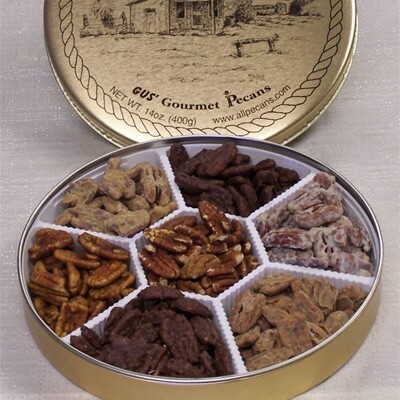 When I moved to San Antonio, Texas from East Texas in 1955, I ordered it shipped to me. I have been having it shipped to me ever since. If I travel, I take my Seaport and my little coffee maker with me. They have taken many Caribbean and European cruises with me and stayed in hotels around the world They have traveled by car, plane, and boat, and there are very few mornings of my 86 years when I don't start the day with Seaport Coffee. My husband used to say that probably I wouldn't get up in the mornings if it wasn't to get coffee.. Advantages: Everything I can think of. The coffee is perfect. My orders have been filled accurately and shipments have been processed quickly. I have never had a package damaged or lost. Excellent service. Disadvantages: Not being able to buy Seaport off the grocery shelves here in San Antonio. Not a real problem though. Seaport coffee has been a family favorite for over 45 yrs. I love it so much. This is my go to coffee while st home. Such a family favorite, I order in bulk and share it with visitors to my house. Thank you so much for a fabulous savory coffee. Advantages: Great flavor and aroma. My husband hates it when he has to drink any other brand of coffee. Some of our friends have started drinking Seaport! As I approach 60 years old, I have rediscovered from your company an evocative memory of my childhood in a small Cajun town. Hard to find elsewhere, Seaport coffee was the canvas upon which many reminisces of home are painted. The early morning cup of “coffee milk” around the table with my father, the rich and unique aroma of Seaport in the downtown café; these things come sweeping over me with each cup of Seaport I have in my home now, far, far away from Acadiana. Smooth and robust, Seaport is unlike any coffee I have ever had in my travels around the world. Now, I can have it shipped to me directly. The color of the bag is different from my childhood memory, and the cost of the product and shipping increases the price a bit, but how much is a memory worth; especially one as flavorful and satisfying as Seaport? I guess these days it's cool to try all of these fancy coffees that are on the market now. Seaport has the most distinctive aroma and flavor of any coffee I have ever have tried. try it once and it will probably be the only coffee that you will ever want. I have been a seaport coffee drinker for 35 years. I have enjoyed Seaport coffee for a few years now and had to get me some for Christmas. I can't find it in stores around Dallas anymore and I'm glad I can online it from your company. I just have to be careful with my stock and not get too low before I order more. I keep at least three bags in the fridge and in the cabinet. It goes fast. Advantages: I like all Seaport coffee (well... I don't drink decaf just yet.) Great taste , nice to wake up to. Disadvantages: What disadvantages ?? All you have to do is brew the darn stuff, drinking it is easy and brewing isn't that hard !! Your product is super hot. The best of its kind.